We conducted a survey of owners to build a clearer picture of the problems experienced, the views of owners (with the benefit of hindsight), and details of the agents and operators involved. 346 of you responded – a fantastic response ! So many thanks to all of you for taking the time. There were multiple residences identified and multiple agents and operators. Read on for what it showed. 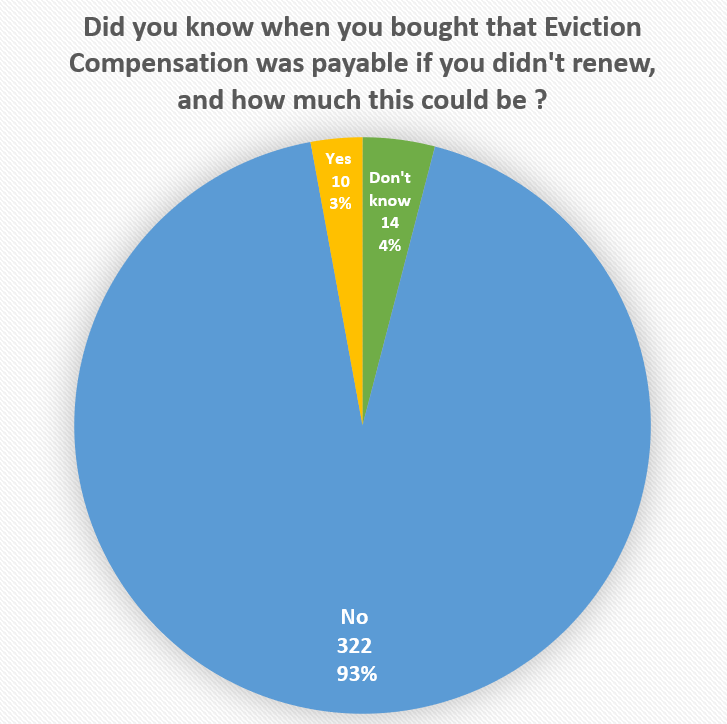 On the big questions, a resounding 93% of you who said that you did not know about the eviction compensation (indémnité d’éviction) that the operator (ie. tenant) could demand from you if you did not renew the lease at the ‘end’ of the 9 or 11 years, and did not know the enormous, and prohibitive, amount that it could be. Of course the French authorities have long since received complaints from French consumers on this inability to get out of the contract at the ‘end’. They changed the law to require that all marketing and sales clearly state the requirement. But is this ‘law’ enforced ? Not from what I’ve seen. It does however illustrate that the French authorities are long aware of abuses. This type of contract does not protect consumers and is a breach of an EU consumers rights under Directive 93/13/EEC Unfair Terms in Consumer Contracts. The FNAPRT have been working for some time now to put in place a different kind of contract. But this is passed around from one department to another. One presumes that this is because there is no political will. 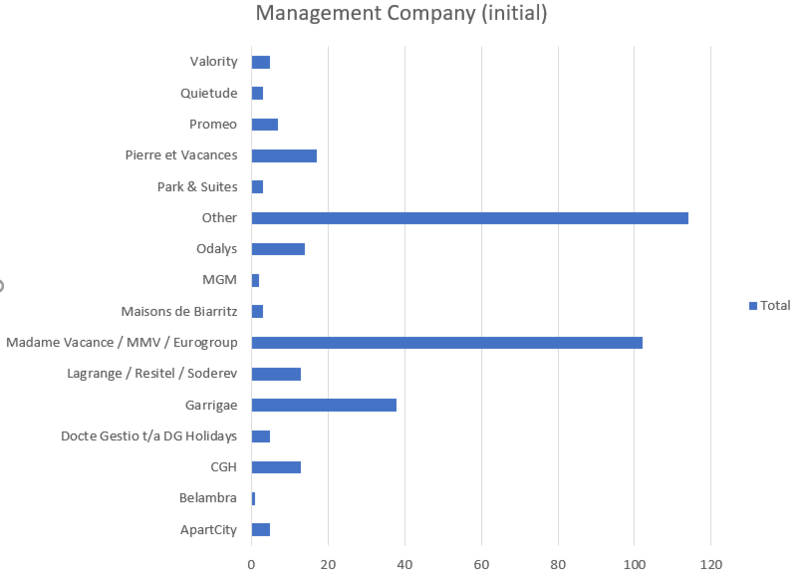 These tax incentives (from Robien, Demessine, Duflot, Pinel etc) have been used for years as an instrument of the French state to stimulate tourist housing, and now student and senior housing also. 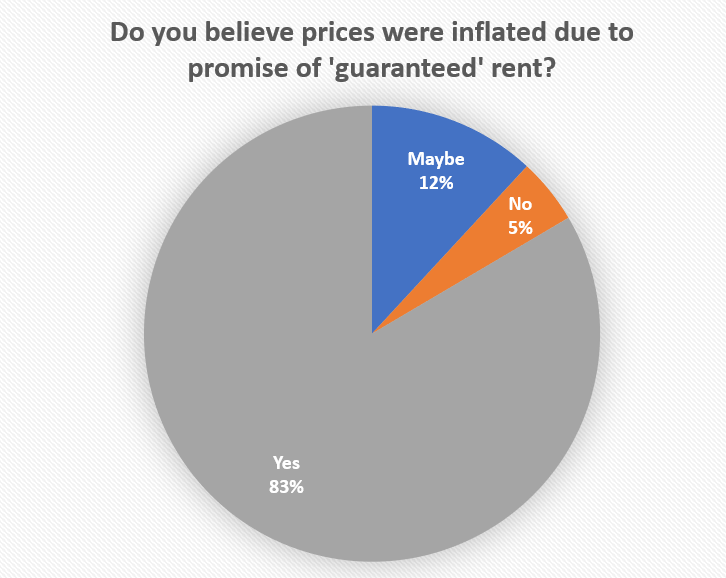 When asked did you think the purchase price was inflated due to the promise of (now illusory) ‘guaranteed‘ rent, a massive 83% of you now believe that the price was inflated, and the properties would never have commanded that price if there had not been a contract which provided (or so one was led to believe..) guaranteed rent for the duration of the 9 (or 11) years. Again, the French authorities are long aware of abuses. These used to be sold and after 3 years the right of cancellation would be invoked by the operator and off he would go with his large purchase price. The law was changed so that operators of Résidence de tourisme could not cancel after 3 years – the contract had to stay for 9 (or 11) years. All well and good. But in reality the contract doesn’t stay as it is if the operator is telling owners that he can’t pay and might go bust if you don’t agree to a rent reduction. And if he goes bust, and you have no contract, then you will have to pay the VAT (TVA) on the purchase price. An inflated VAT. All while you receive no rent to pay your mortgage. 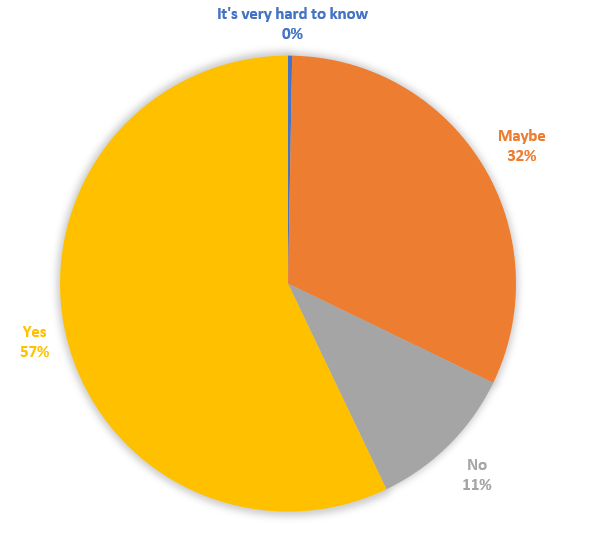 When asked if you believed that the person who drafted and signed the contract NEVER expected pay this level of rent for the duration, 57% said they thought that was true. 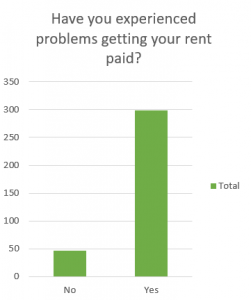 Not surprisingly, almost 300 of you have experienced problems getting your rent paid. 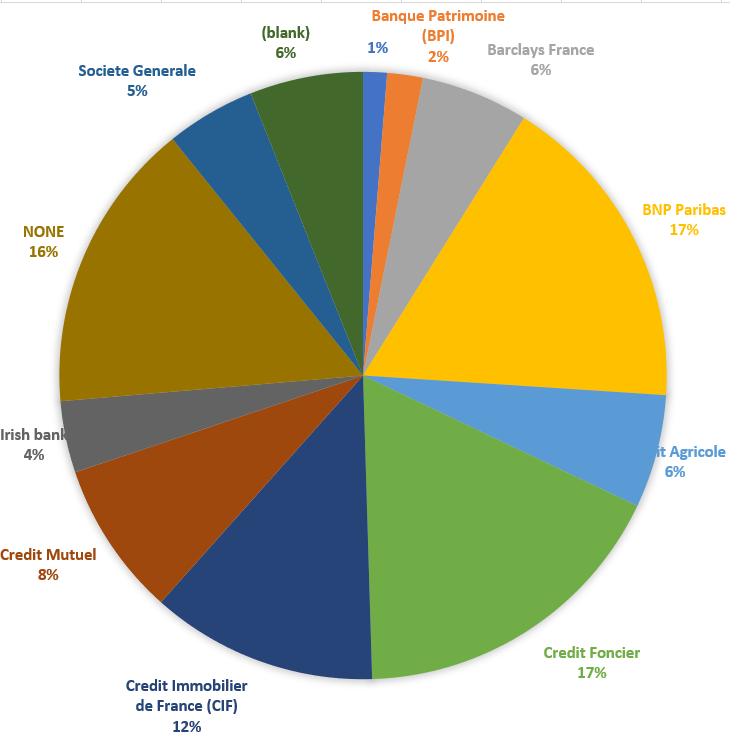 And pretty much all of the main French banks have skin in this game. Most of the survey responses came from owners in Ireland and UK, with a bunch of other nationalities thrown in. The survey wasn’t translated to French, and thus very few responses from there. The results will be sent on to the EU Commission, DG Justice and Consumers and to the CCPC and to the French authorities (no personal data will be provided). Is it too late to add to the survey? I purchased at Murano Resort in Paris and am thoroughly disgusted with the entire experience. the survey is closed now. Thanks for comment. 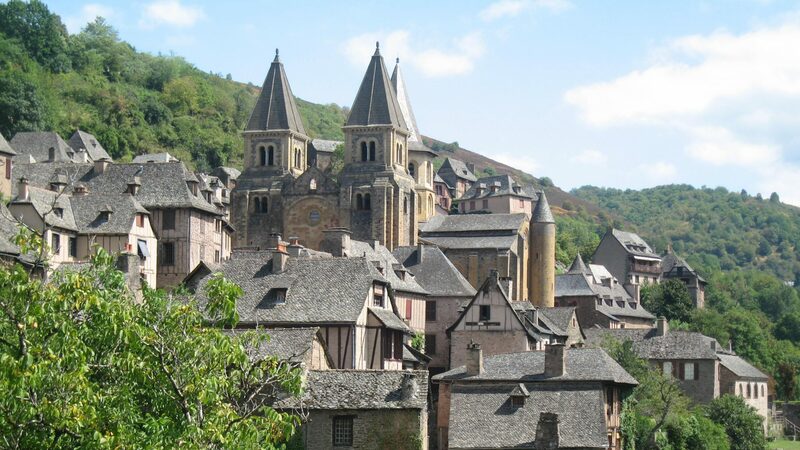 Thank you so much for all you do to raise awareness of leaseback property in France. We find the whole issue so draining. We were 55 and 58 years’ old respectively when we purchased, and with hindsight we can see that this kind of “investment” (!) was totally unsuitable for us. We purchased two properties. It looks as though we might have sold one property, fingers crossed, at a huge loss, having bought ourselves out of the lease and paid the TVA on the inflated purchase price rather than the greatly reduced selling price. French Court Cancels Lease – No Compensation! Is France in Breach of EU Directive 93/13/EEC – Unfair Terms in Consumer Contracts ?